This is a commentary on the whole Bible that you will want to read for your personal enrichment and use every time you prepare to teach God's Word. "No greater need is imaginable than that of a commentary for teachers of the Bible…. Dr. Larry Richards has prepared The Teacher's Commentary as a magnificent and succinct insight into the Scriptures. Get one for every teacher in your Sunday school." Lawrence O. Richards hold a B.A. in philosophy from the University of Michigan, a Th.M. in Christian education from Dallas Theological Seminary, and a Ph.D. in religious education and social psychology from Garrett Biblical Seminary and Northwestern University jointly.Dr. Larry Richards has taught in the Wheaton College Graduate School, served as a church minister of Christian education, and taught courses at various schools in the United States and overseas. He has developed Sunday school programs, conducted seminars and workshops, and Internet curriculums for Sunday school and home school.He has written over 200 books. • What does this passage teach? • How can I make this truth plain? • What is the best way to help my students apply this teaching? • What is God saying to me? • How does the passage or story I'm about to teach fit with what comes before and after it? • Where can I find other passages that develop this theme? • What can I do to get my class interested and involved? • How can I help my students really understand? First comment -- Beware, this is NOT a commentary like others are. This is a REFERENCE LIBRARY item. So if you look for it in your commentary selections you won't find it. You have to look in your reference library's for this. Second comment -- It's actually quite good. It's set up to cover wide swathes of scripture and does a good job with the 'big picture' concepts. Bottom line? I'd recommend it but understand it's NOT a verse by verse commentary. I liked this book it helped me to understand the bible,I can not go to church , so it is like going to Sunday class You can use it to for Sunday class which is great. Very good wealth of information. Very important not just for teachers but everyone to have and read. This Bible Teacher's Commentary has been a very good addition to my list of Commentaries. It's helped to give an insight on Scripture that I didn't have previously. This Commentary will cut your Study time because you won't have to go through and find supporting Scriptures because it lists them! If you're looking for a Study help, The Teacher's Commentary for E-Sword is what you're looking for! This is not a commentary - in my opinion. It is a series of topical studies. In my teaching experience I usually avoid topical studies per se. I rather like to take a Biblical book and teach the book. I am not impressed with having all points begin with the same letter - as this resource seems to do. It will not be one of the resources I go to the most. With teaching a women's bible and also like to do deep studies, this book has been a great help. Having used it a few times already I found it has helped me. I am a big fan of Larry Richard's materials. 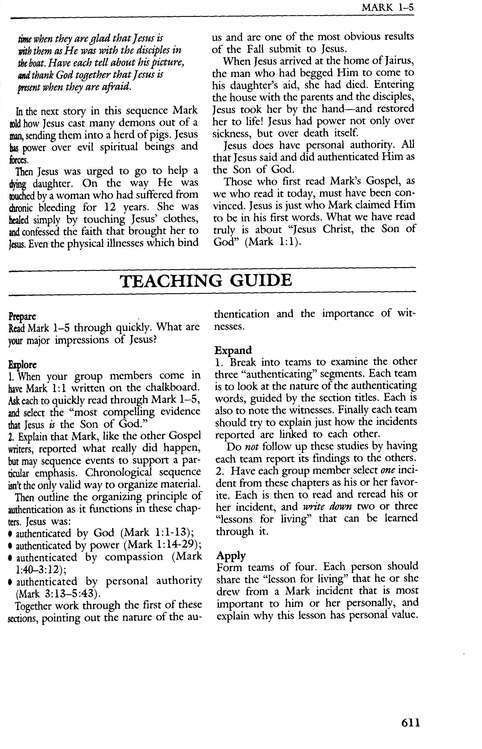 I have used them in my personal ministry and as a seminary and Bible school instructor shared them with my students as a simple and reliable source of information and help. I was glad to see this commentary available for e-Sword and scooped it up. It was a great help for preparing for filling the pulpit for my church here in Orlando the last Sunday of 2014! Just in time to give me the inspiration and idea to make my sermon impart what the Holy Spirit wanted people to receive. Glad to have this one so handy now! I plan to make an online course soon on simple Bible study tools and how to use them. This commentary is one I will highlight in that course. I love the easy way to grab what I need as I prepare to study and teach. These are great tools that I wish I had used and prepared from earlier in my walk. Keep up the good work! The Bible Teacher's Commentary is a great resource for our Adult Sunday School. 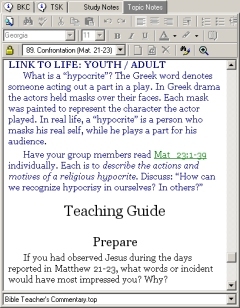 As a teacher of God's Holy Word it is a blessing to have all of my resources in one software package. 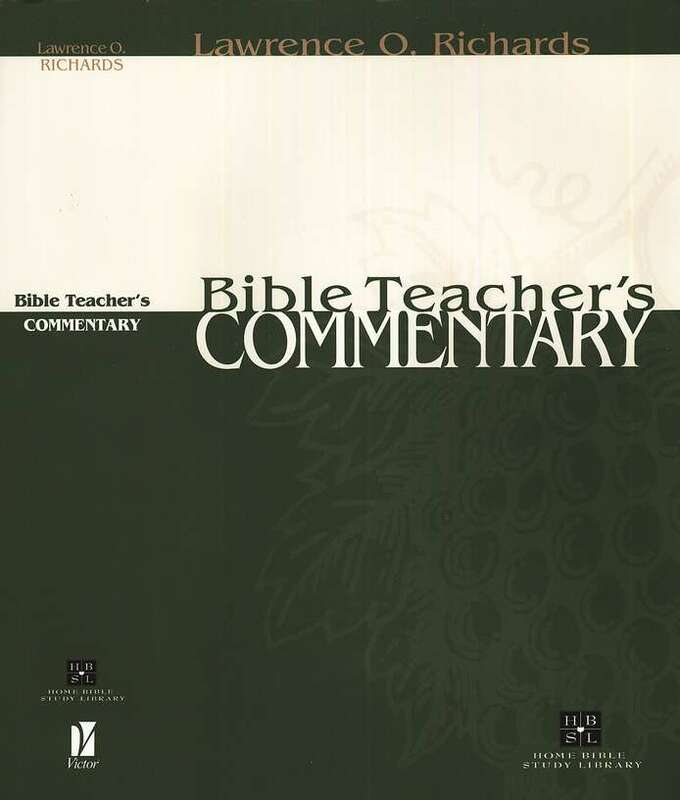 The Bible Teacher's Commentary is an excellent resource for any teacher, pastor, or any individual who wants to stay in the word. 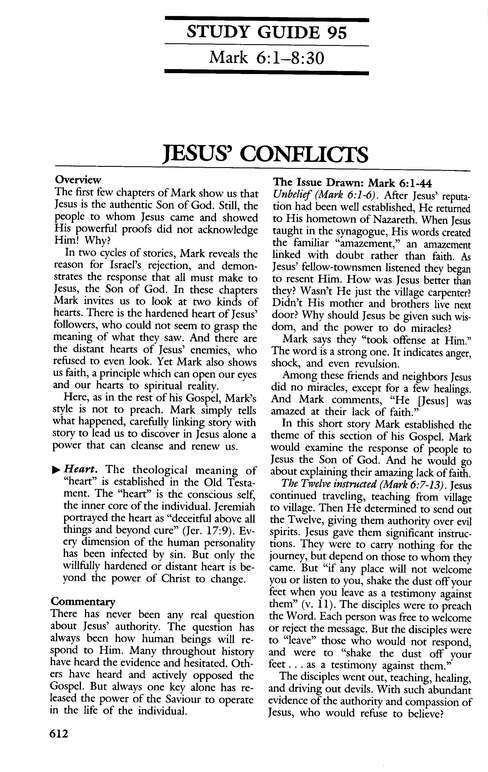 The explanations are very informative and helps me in my discussion of the Bible. An excellent resource, gives good teaching tips with a thorough commentary on each passage. I like the integrated Bible references as well. Only reason it got 4 stars instead of five in my opinion is that I would like to see the commentary tied into the Bible references (like if I was studying John 3:16, the commentary would come up with the other commentaries in that window. Other than that this is a resource well worth the money. It is a great addition to E-Sword. I love E-Sword! The Bible Teacher's Commentary helps me prepare my lessons for my Sunday School Class! One can never learn enough about the Bible.Thanks again! It looks like there's some good content, but it isn't quite what I was looking for. First, it's available as a reference book, not a commentary that I can read in the commentary window. Second, it isn't what I expect from a commentary--a thorough, passage-by-passage exposition of the text. It's more suggested helps and outlines for teaching. Perhaps I'll use it some, but not as much as I would have a real commentary I can use in the commentary window. I purchased in a bundle, and got more than my money's worth. Good resource with lots of pertainent information and thought provoking comments. The bundle was definitely worth it, highly recommend. Love the format and easy to download via E-Sword. i llok forward to developing Susnday Scholl lessons with the information in this resource. The product is fine. I'm disappointed because the Bible Teacher's Commentary doesn't show up in the Commentary window of E-Sword. To get to the BTC, you have to go to the Dictionary menu and pull it down. Kind of a pain! If you could fix this, I would be very happy with the product. I would like to see this commentary show up in the commentary section instead of the resrouces section. Or, how can I get it to show up in the commentary section of Esword since it is a commentary. I found this set to very useful in my studies and it has been worth the purchase. A wise purchase and addition to my collection. As a Bible teacher, I am always looking for easier ways to help my students understand Bible truths. 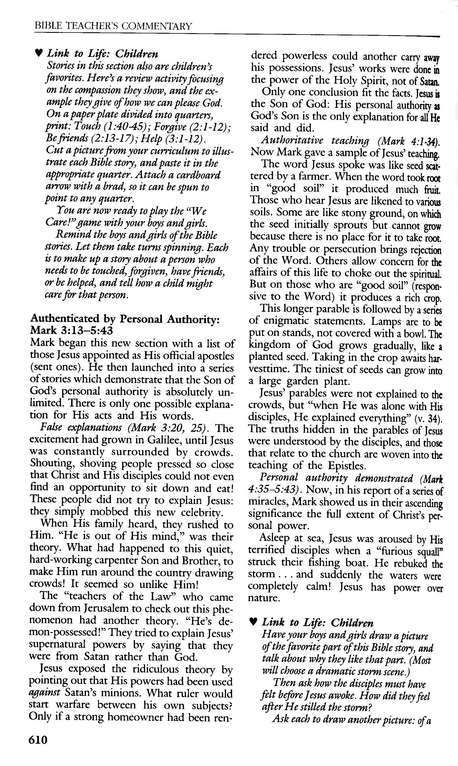 I have searched for many months and decided to try The Bible Teacher's Commentary for e-Sword. Finally, after a long and tedious search, I found the one tool that I have been looking for. Not only will you find the particular subjects that need to be taught in our day and time, you will find that help that you need so that all of your students will understand exactly what God is trying to say to them personally. 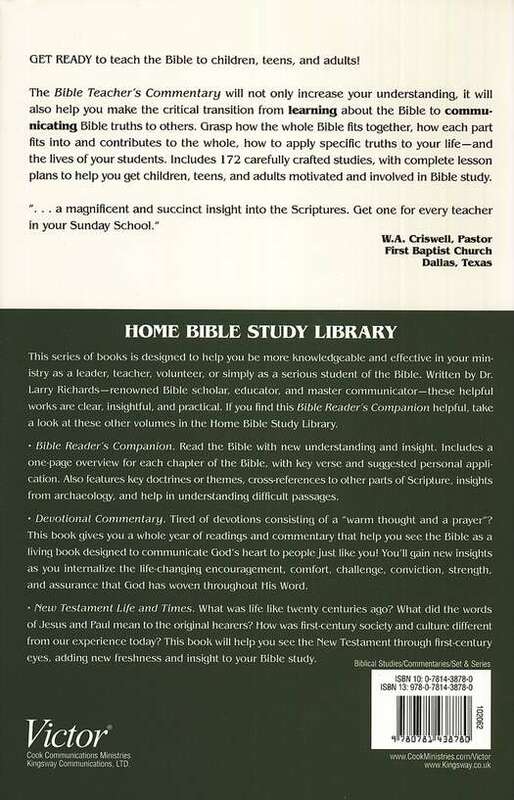 The Bible Teacher's Commentary provides great information for teaching practical scriptural applications. This is not a commentary I would typically read for personal enrichment and insight during daily bible study and meditation, but when I need a lesson plan for one of my groups and am feeling a bit lost in how best to present scripture, BTC really shines. Another great tool from the E-Sword product line. Recommended.